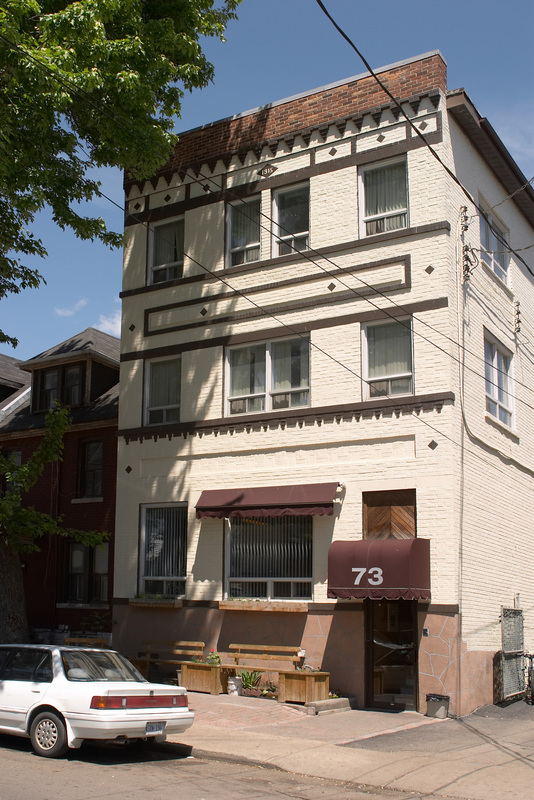 The facility located at 73 Robert Street is a 25–bed Community Residential Centre. This facility provides programs to individuals paroled to the community by virtue of conditional releases from federal penitentiaries and is funded by Correctional Service Canada. The program goal is to promote in our residents a cognitive developmental perspective contrary to the immediate need and path of least resistance way of reasoning that supported their anti social behaviour. Insofar as prison environments by their very nature are regressive, we characterize our goal as facilitating transition from a maladaptive way of reasoning and behaving, to positive community standards and socially acceptable behaviours. Our goal at Robert Street is achieved through dually focused initiatives of equal importance. Individually focused plans of transition are collaboratively developed between staff and residents. Actions are specified, time targeted and related to the goal to leave our facility as an independent, contributing member of the community. Progress is continually monitored with the view to providing focused intervention where needed. In support of our individual plans of transition we have a Therapeutic Community at Robert Street that was developed and implemented through the collaborative efforts of residents and staff. As part of this process, we have a constitution that we proudly display. We also have a program manual which defines acceptable behaviours and rational consequences. The environment is embraced by each new generation of residents and staff through careful recruitment, orientation and training. Our Therapeutic Community and its objectives are constantly monitored by two empirical methods. One method evaluates the environment, the other, individual ways of reasoning. The results of both are used to focus interventions where they are most needed. Success at Robert Street is ultimately measured by residents leaving our facility to live independently in a community they no longer feel alienated from. While collaborative work between our staff and residents is critical to our success, the knowledge base and skill of specially trained counsellors is essential to achieving our goal. The Place of Transition program was selected for presentation at the following international conferences: APA -American Association of Probation and Parole; ICCA – International Corrections and Criminology Association; and TCA –Therapeutic Communities of America. 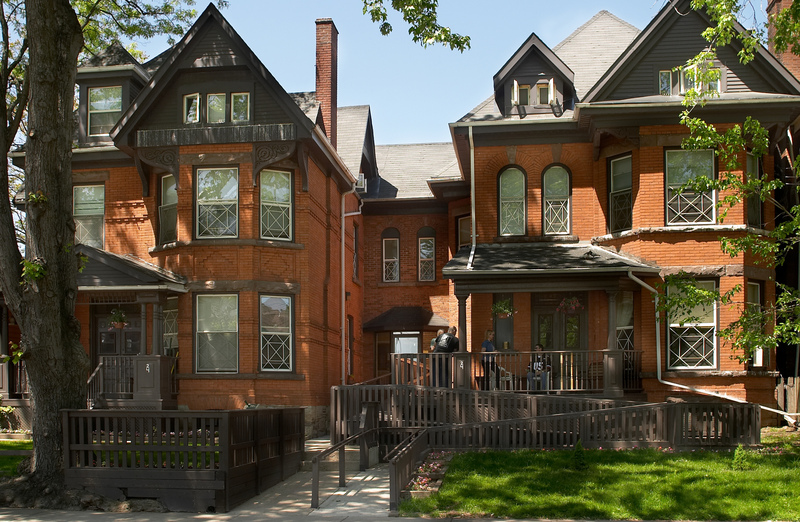 The facility located at 24 Emerald Street South is a 36-bed Treatment Centre. The residents are parolees on conditional release from federal penitentiaries. This facility also provides non-residential programs to the broader community of federally sentenced offenders and is primarily funded by Correctional Service Canada. The program goal at Emerald Street is to work through our clients denial so that they accept the reality that their lives are unmanageable due to substance abuse. To achieve this several objectives are pursued that promote individual cognitive development and address denial. The objectives fall into two categories, the environment and the individual. Our environmental objective is to create a Therapeutic Community in which role taking and participation in decision making prompts a sense of responsibility and concomitant behaviour. We monitor the quality of our community by objective empirical methods and use the information to fine tune and specifically focus on interventions where they are most needed. Our individual focused objectives combine practical client centered interventions with genuine curiosity in our residents worldview and interpretation of events. Our objective is to create a need to construct new more comprehensive, adaptive and mature interpretations of experiences. This is also monitored by means of empirical methods and the results used to better focus our efforts. Success at Emerald Street is ultimately measured by individuals accepting the reality of their substance abuse related problems and voluntarily abstaining from all mood-altering substances. Success with our clients is attributable to a collaborative effort from the knowledge base and skill of trained substance abuse treatment facilitators and specialists in other cognitively based programs. The Working Toward Success program was selected for presentation at the following international conferences: APA –American Association of Probation and Parole; ICCA – International Corrections and Criminology Association; and TCA –Therapeutic Communities of America. 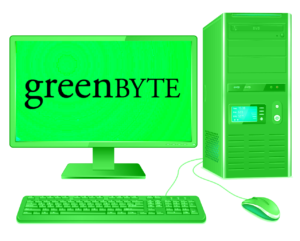 GreenBYTE Program encompasses two mutually supportive but distinct programs, the Computer Technology Program and the Employment Services Program. The current year marks the end of the third full year of operation for the Computer Technology Program and the second full year of operation for the Employment Services Program. The past year has simultaneously been a time of great challenge and accomplishment. We have experienced both financial challenges and a decrease in referrals to the program, while at the same time we have developed a new funding partner in the Ontario Trillium Foundation and established a new venture, the Rebyte Electronic Waste Recycling Program. And a special thanks to all those individual community members, who are unfortunately, too numerous to mention. We expect the next year to be a time of great change and hopefully expansion for the program. Electronic trash is the only ’waste stream’ on the rise in Canada, according to the October 2000 Environment Canada report, ’Information Technology and Telecommunications Waste in Canada.’ In 2000 alone, Canadians threw out over 40,000 tons of this equipment. Disposal of computers, printers, scanners and other telecommunications equipment has emerged as a major environmental issue. During the 1990s only about 10 percent of this equipment was recycled or refurbished for reuse in Canada. This situation poses a significant potential environmental issue, as e–waste contains toxic materials that can be hazardous if not managed properly. In particular, the lead oxide used in the cathode ray tubes (CRTs) of computer monitors is a concern because it is in a soluble form. The St. Leonard’s Society of Hamilton, in collaboration with Recycling Services, is working to establish the third division of the GreenBYTE Program, the ReBYTE Electronic Waste Recycling Program. The purpose of this program will be to establish a private enterprise and not-for-profit cooperative venture, which will aim to address the issue of electronic waste disposal in the Hamilton area and surrounding regions. primary objective of this venture will be to establish a self-sustaining recycling venture. Secondary objectives will include the provision of training services and employment placement for hard to employ individuals.